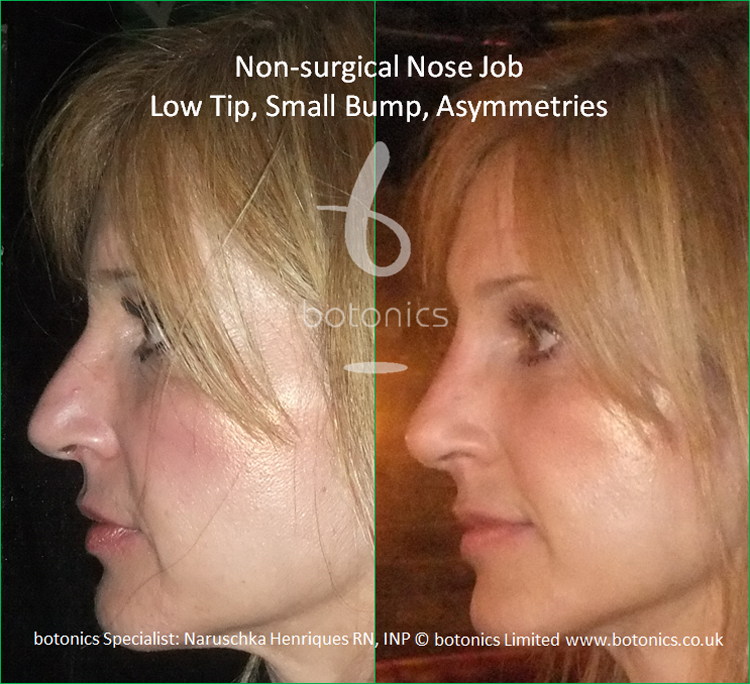 Your nose is a prominent facial feature and if you aren’t happy with it, it can really affect your confidence. 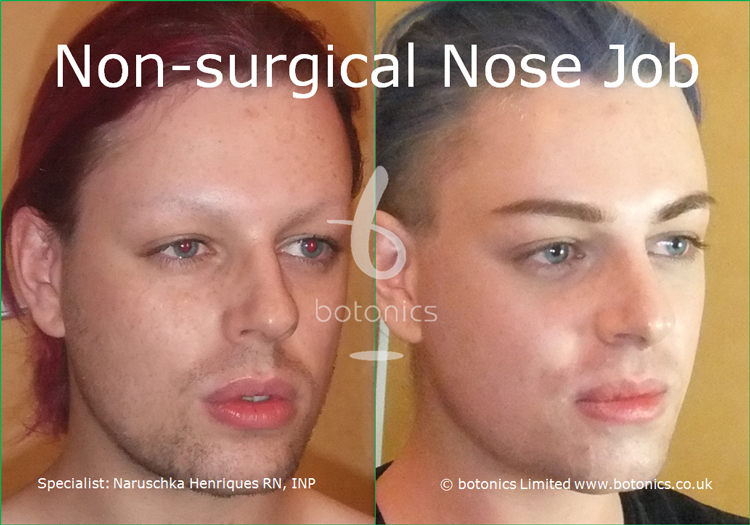 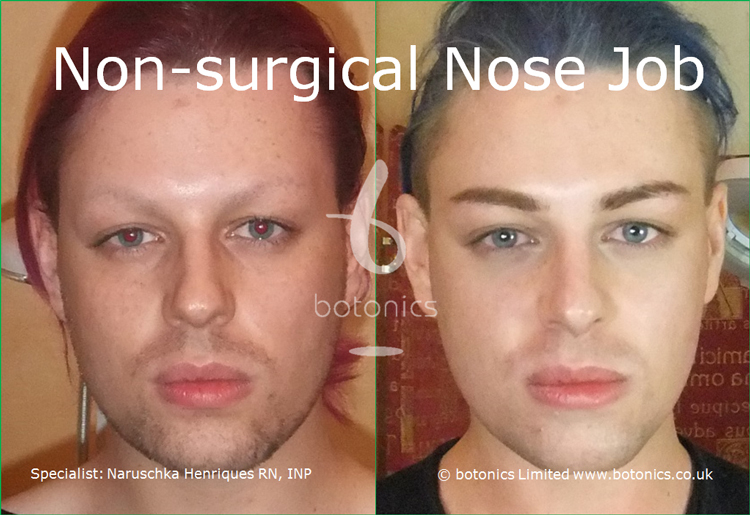 Surgical nose jobs can be quite expensive and the surgery aspect can even put people off having the operation they truly desire. 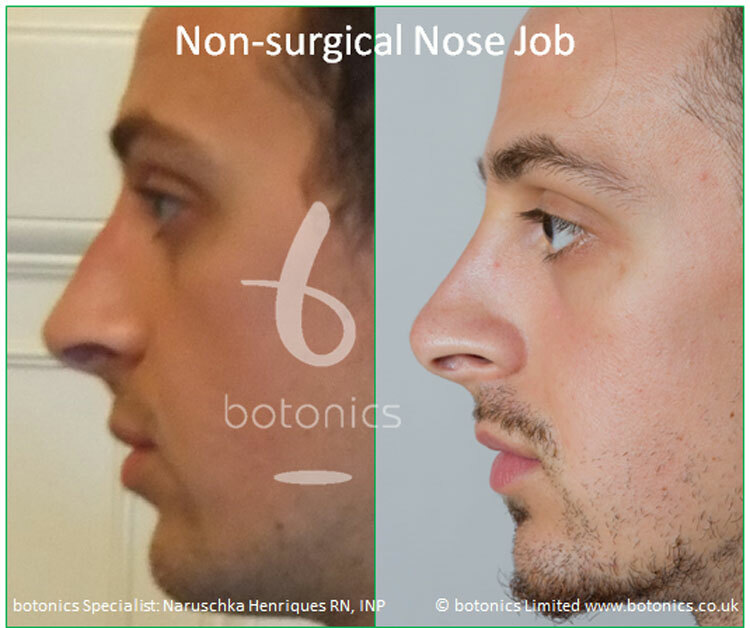 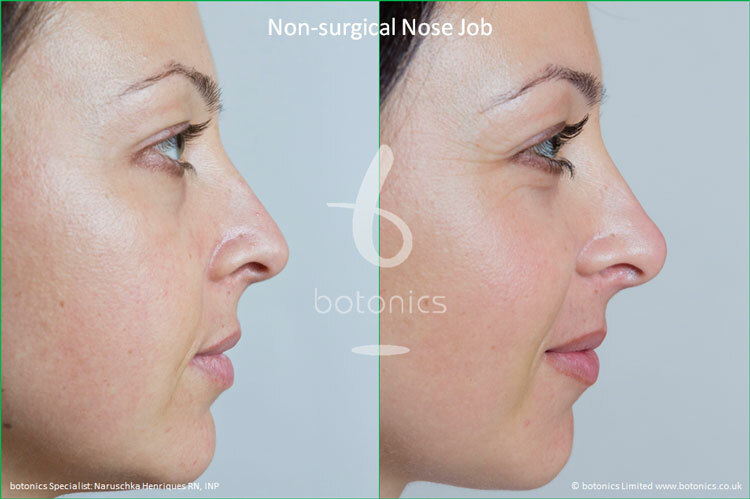 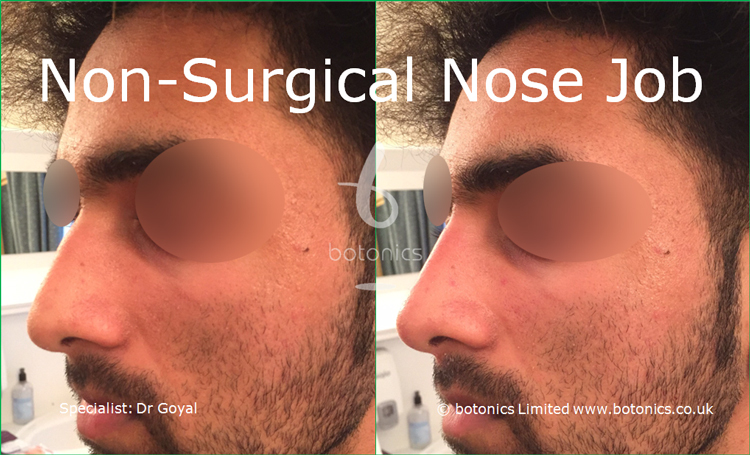 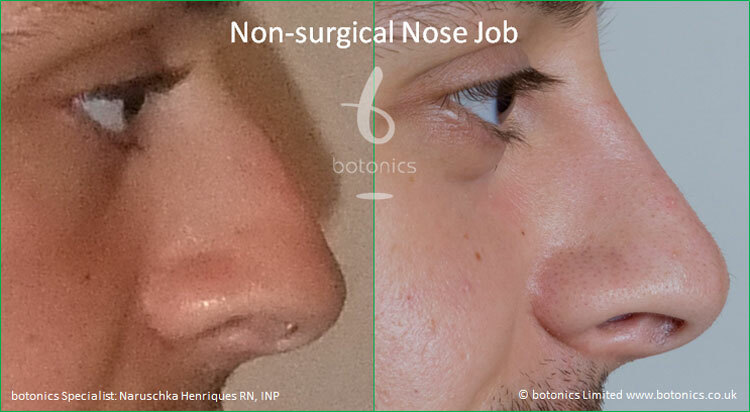 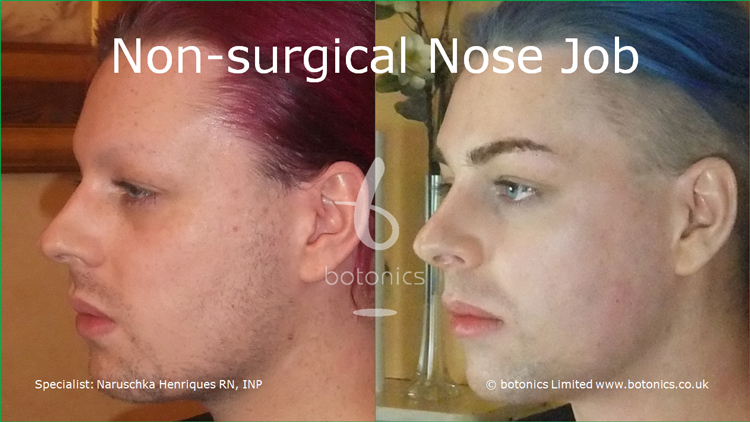 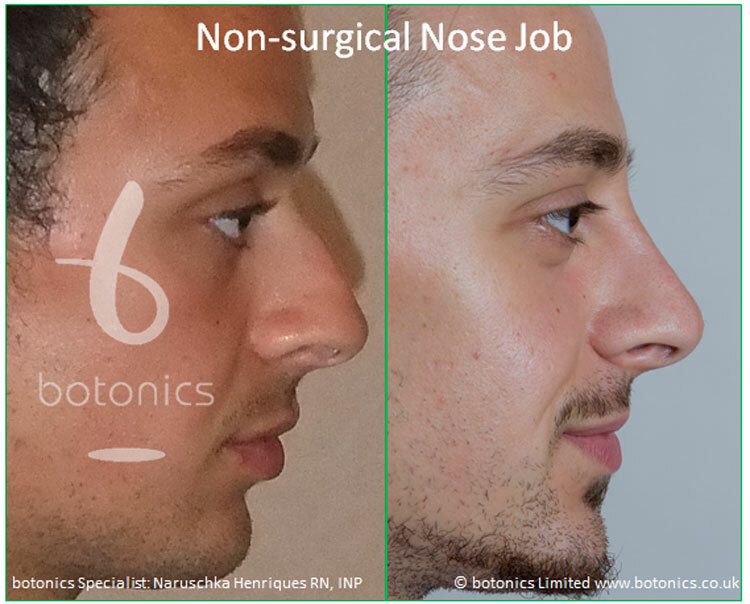 Our non-surgical nose job treatment can give you the nose you have longed for without having surgery. 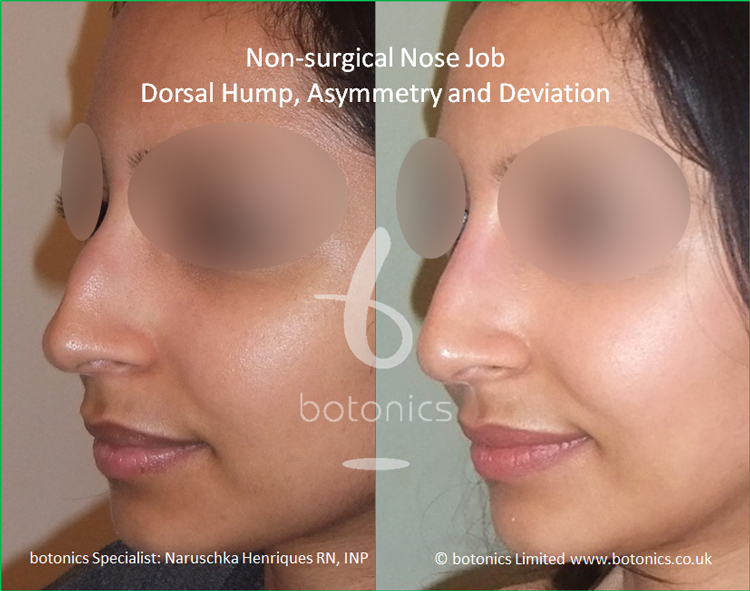 A non-surgical nose job involves using filler to improve the bridge, tip and dorsal humps that you may not be happy with. 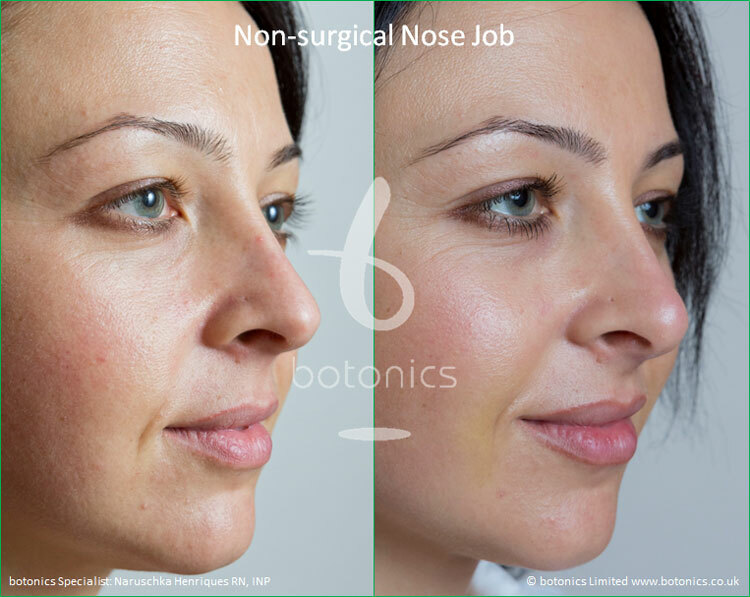 The procedure usually takes one hour and the injections themselves only take 10-20 minutes, making it as comfortable as possible for you. 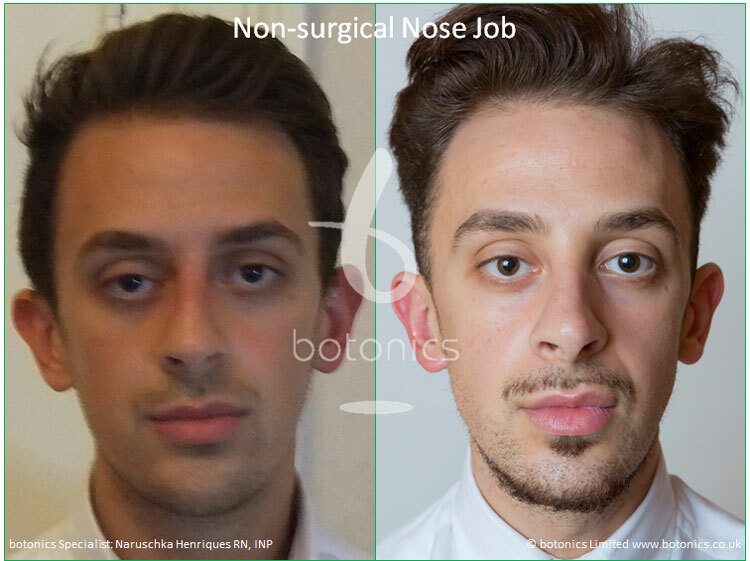 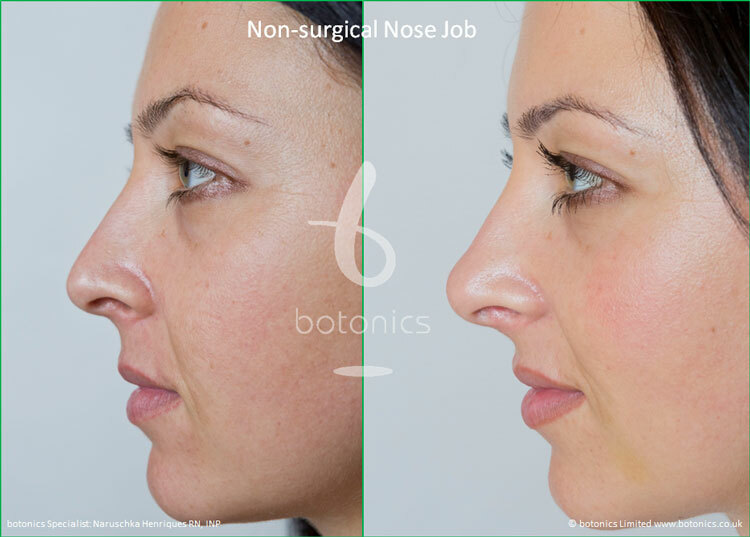 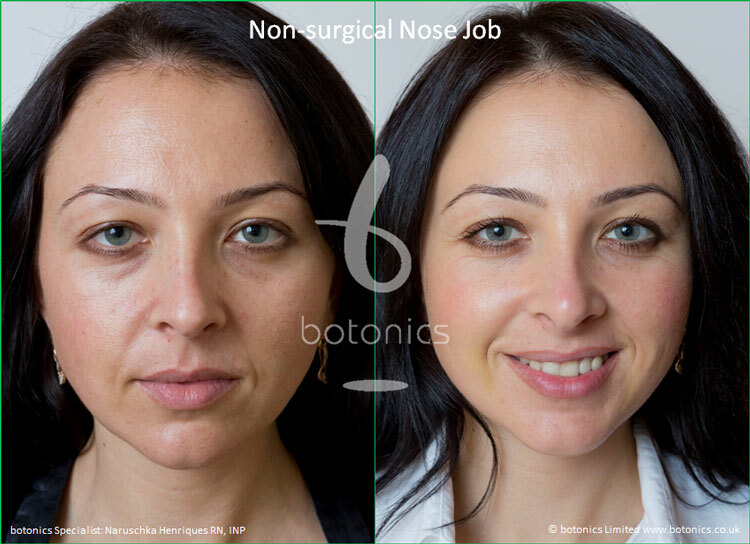 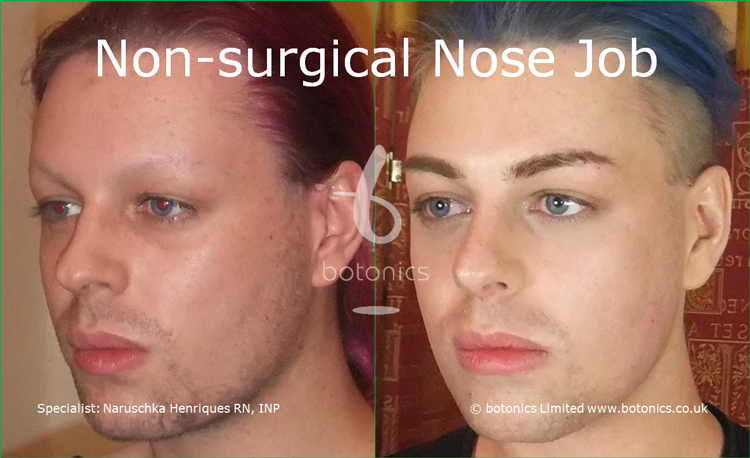 Have a look at our before and after gallery to see the great results we can give you with a non-surgical nose job. 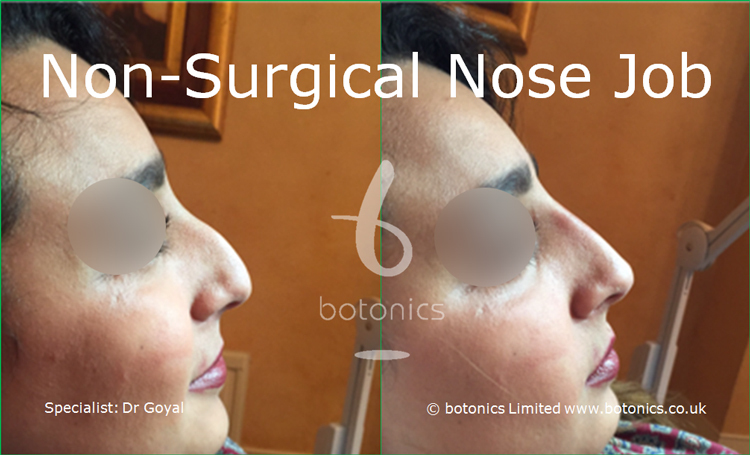 For any questions or queries, please don’t hesitate to contact us. 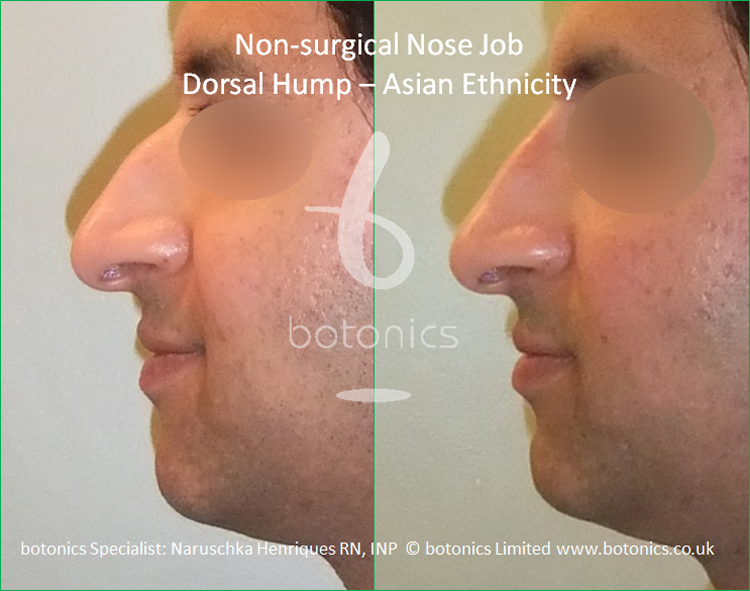 Comments: Client 24 years old unhappy with dorsal hump/drooping tip resulting in 'hooked' nose. 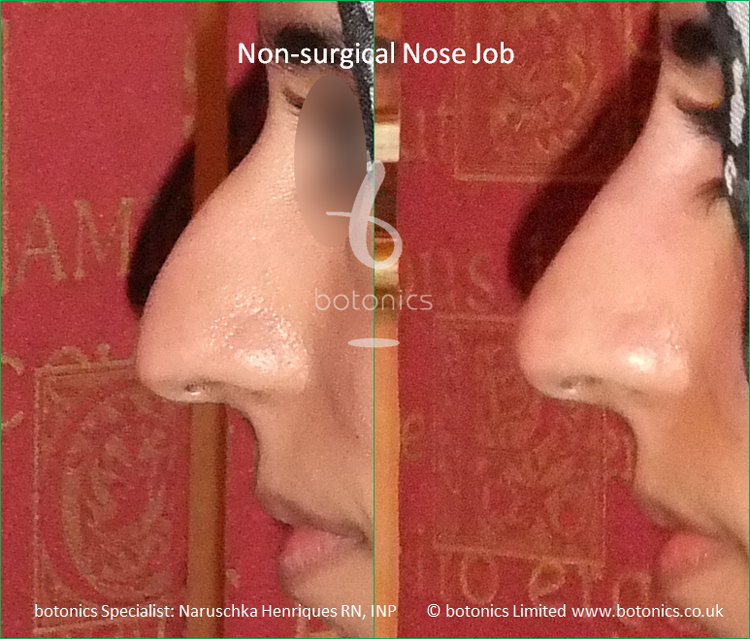 Nose bridge built up and nasal tip elevated. 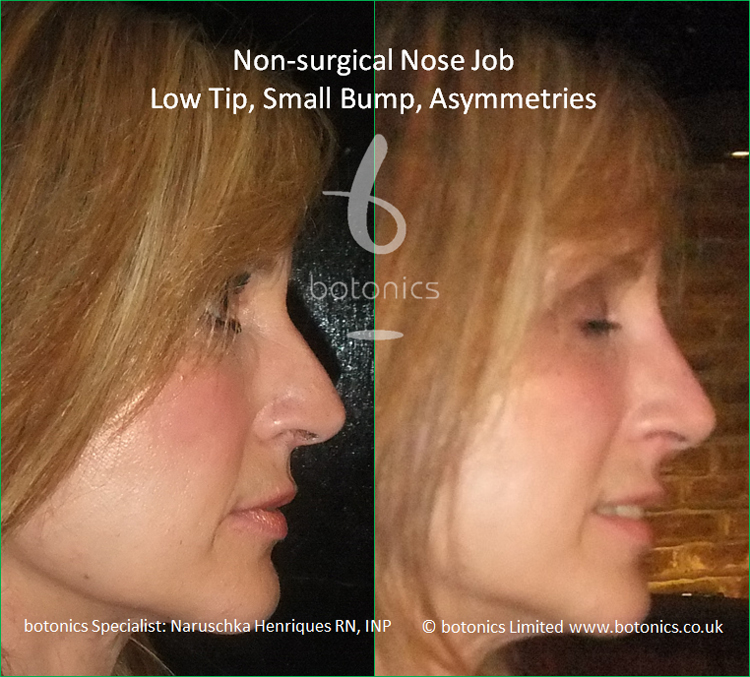 Comments: Client unhappy with downward curve of nasal tip which became more exaggerated when talking and smiling. 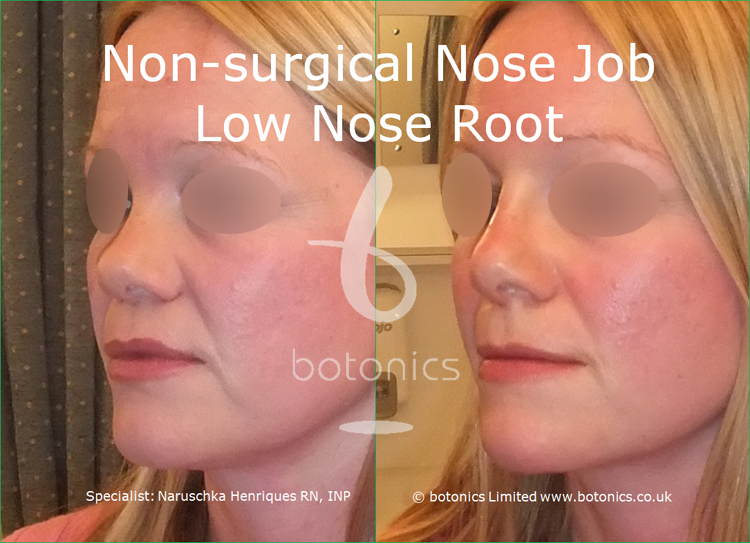 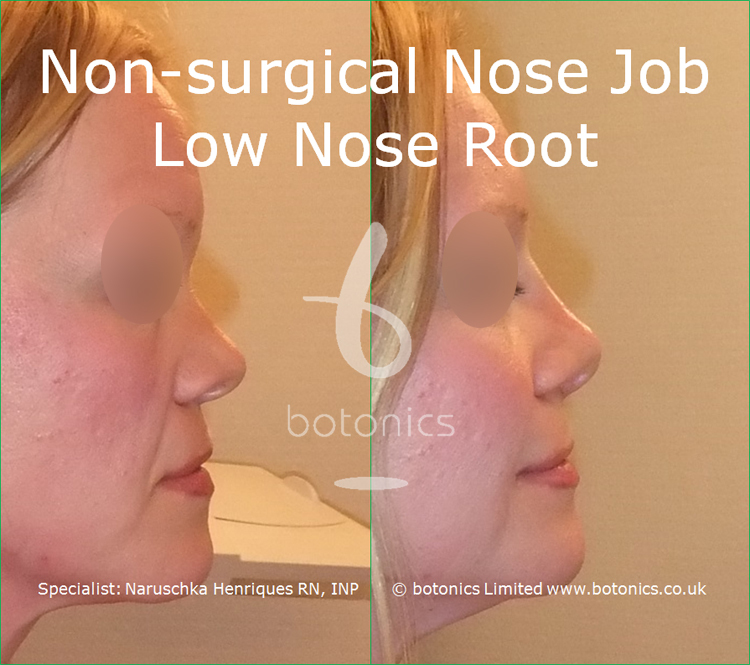 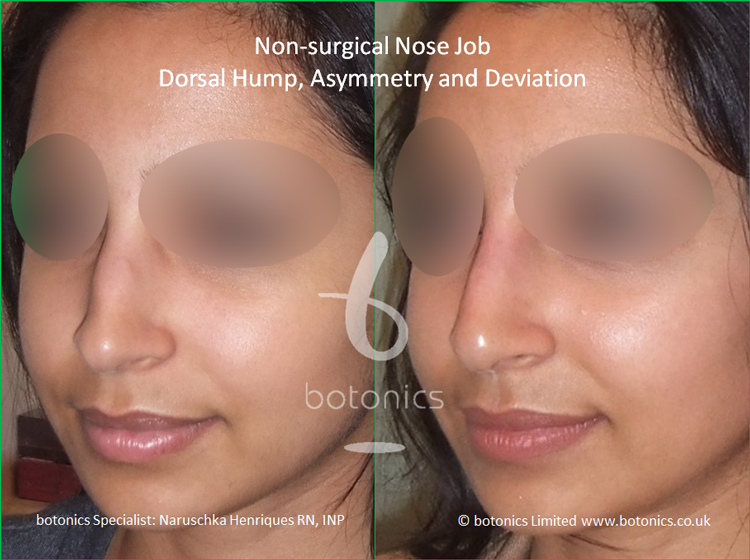 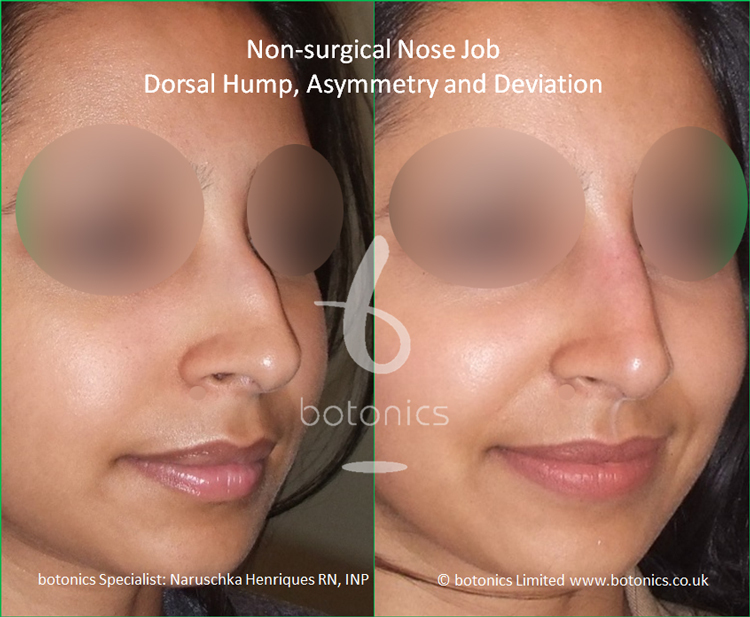 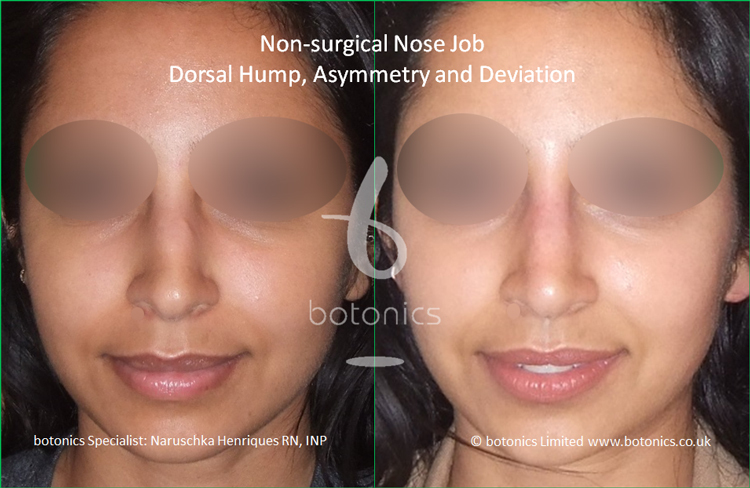 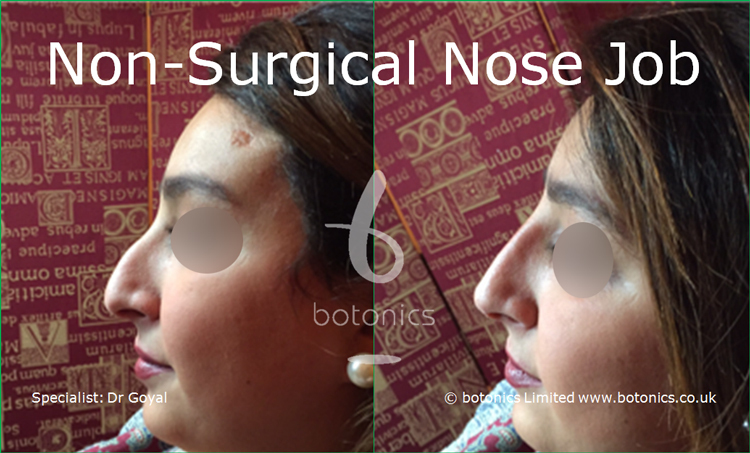 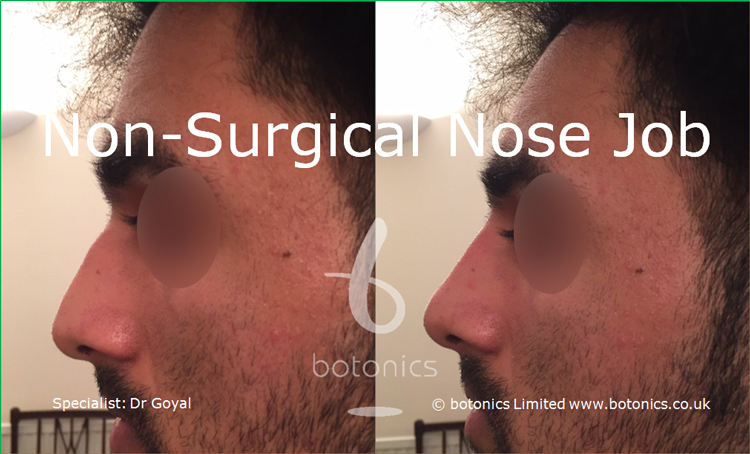 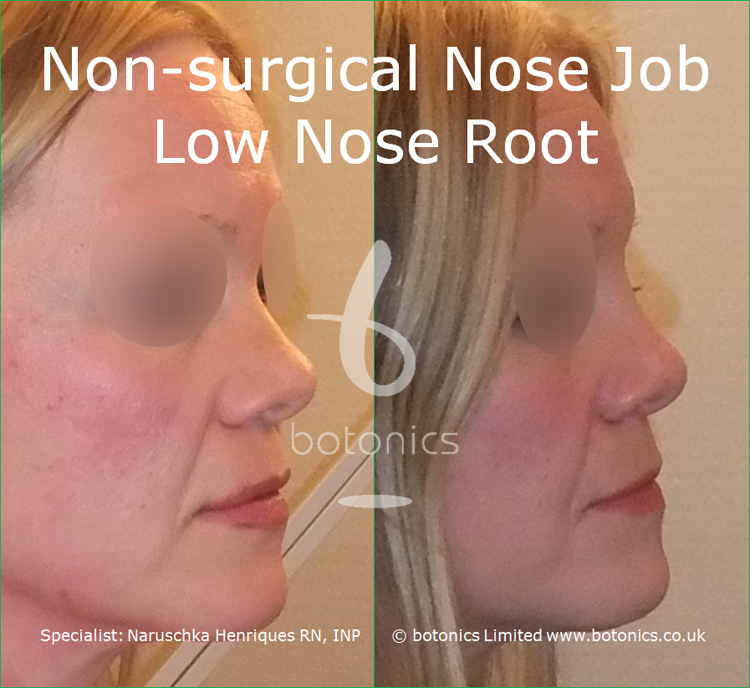 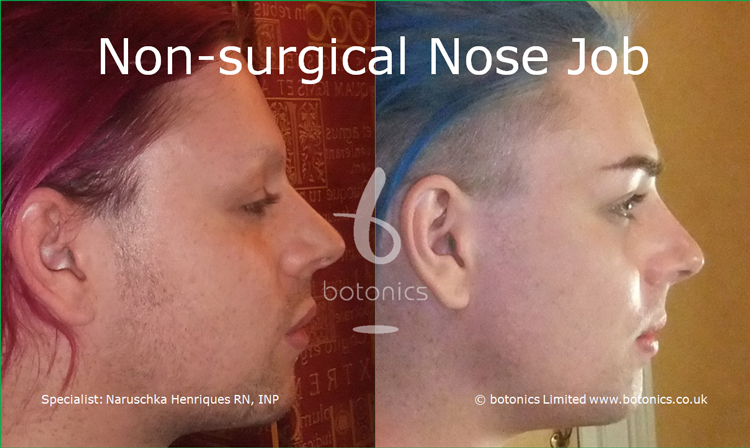 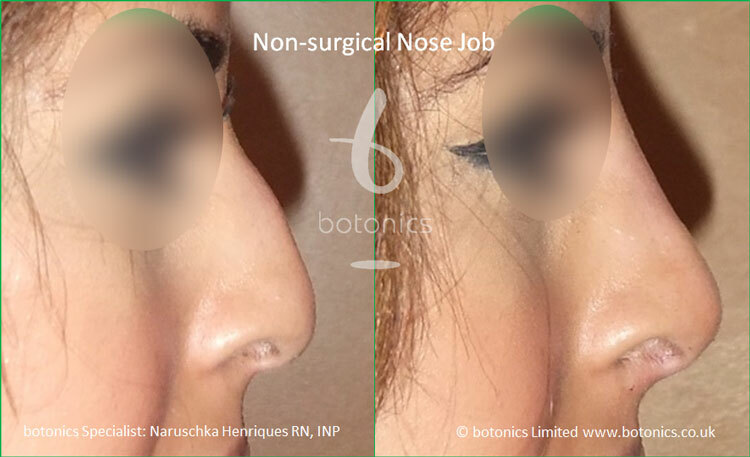 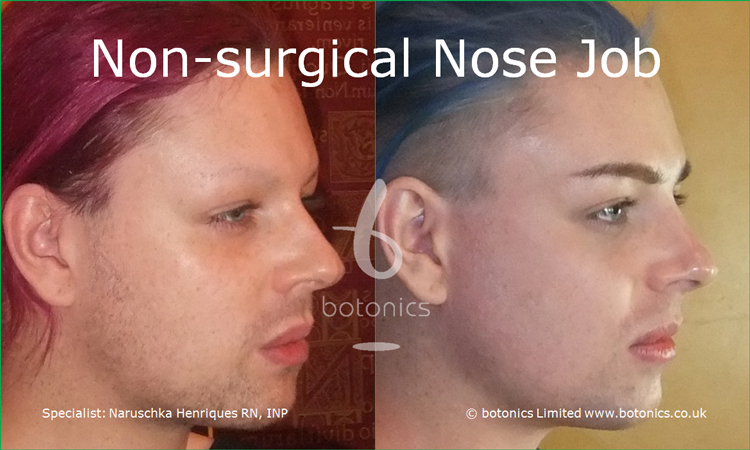 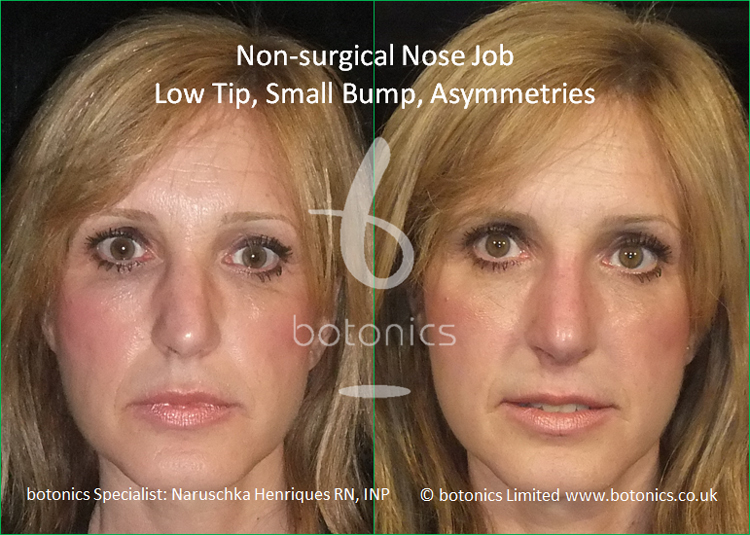 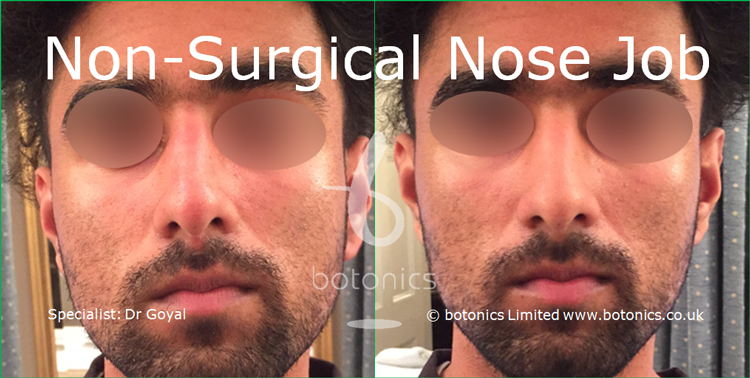 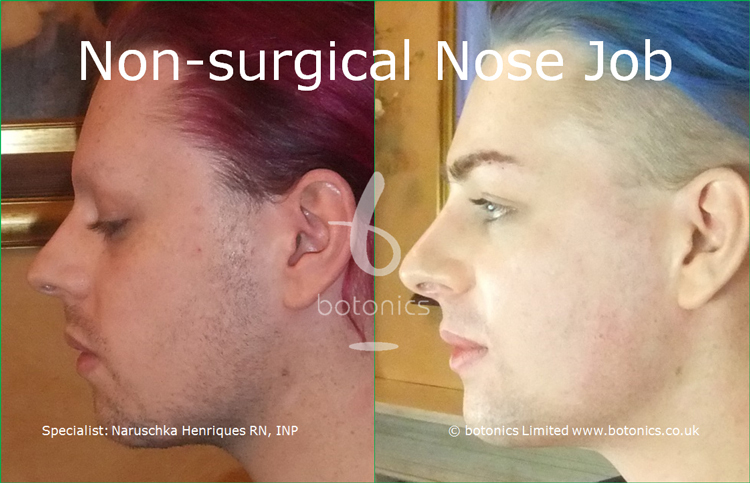 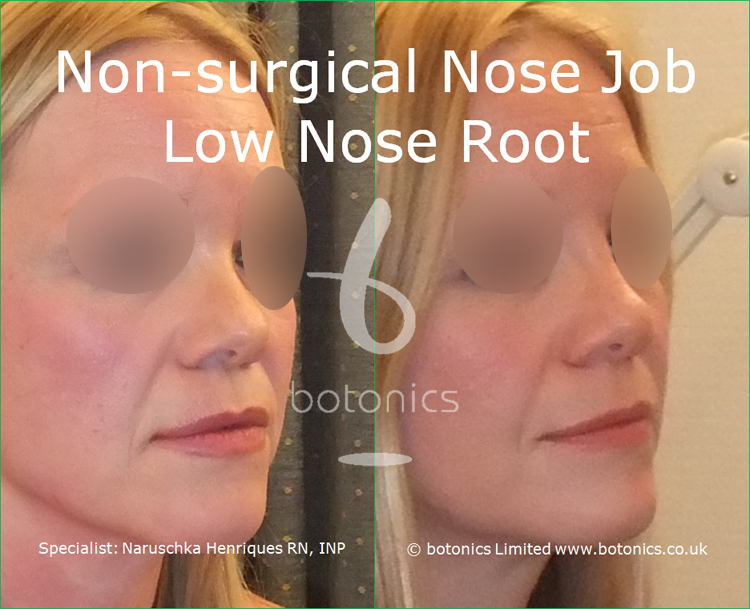 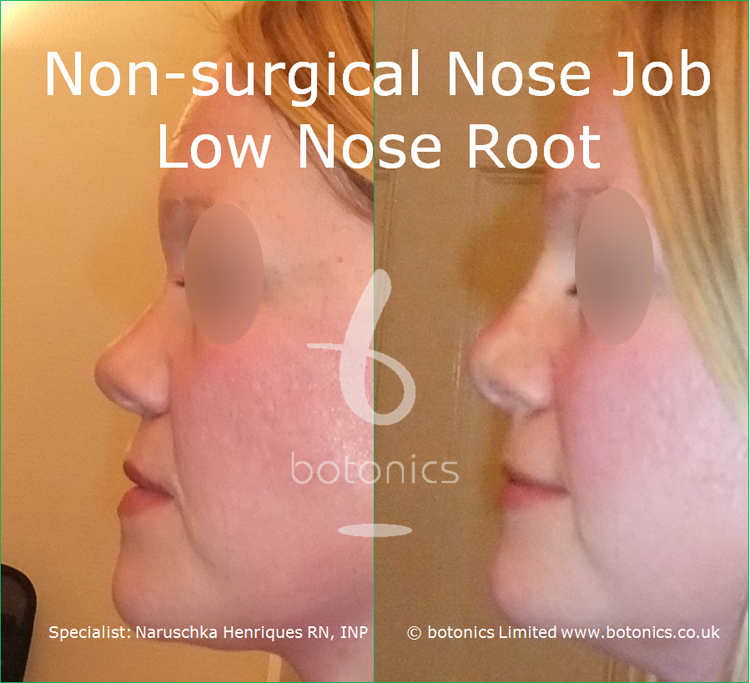 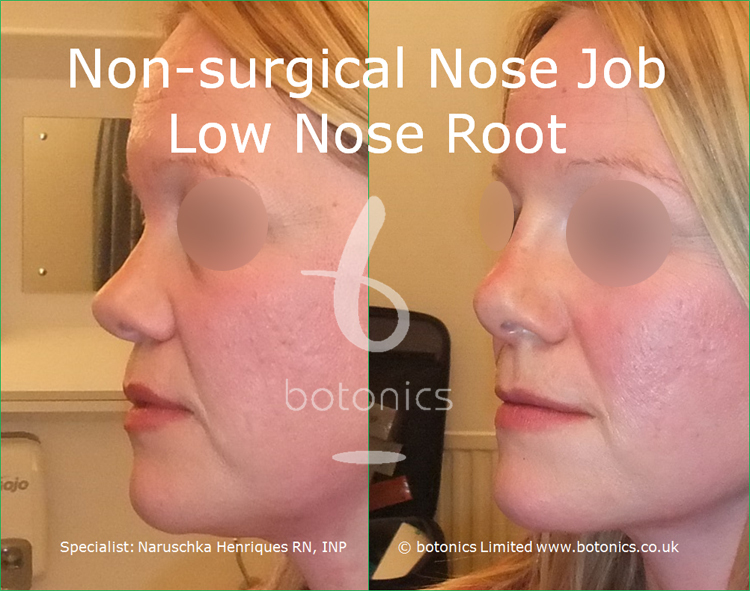 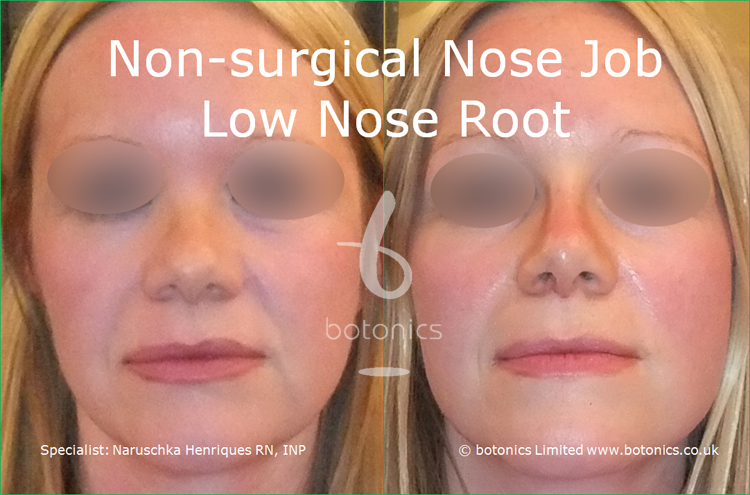 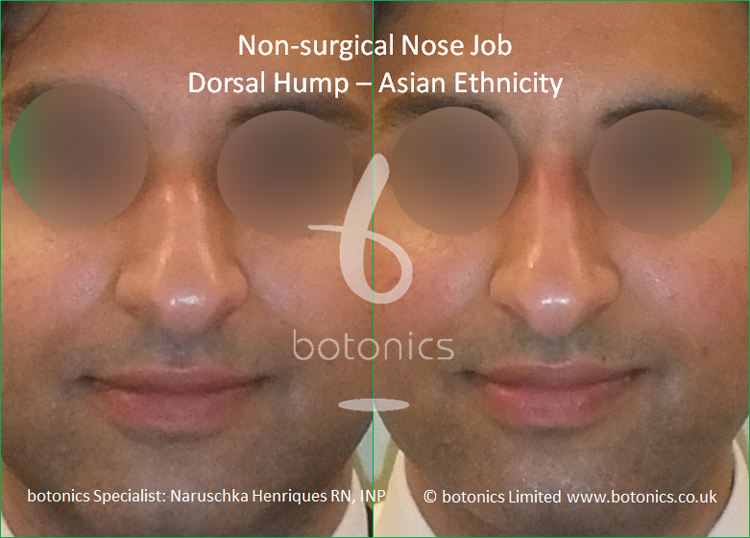 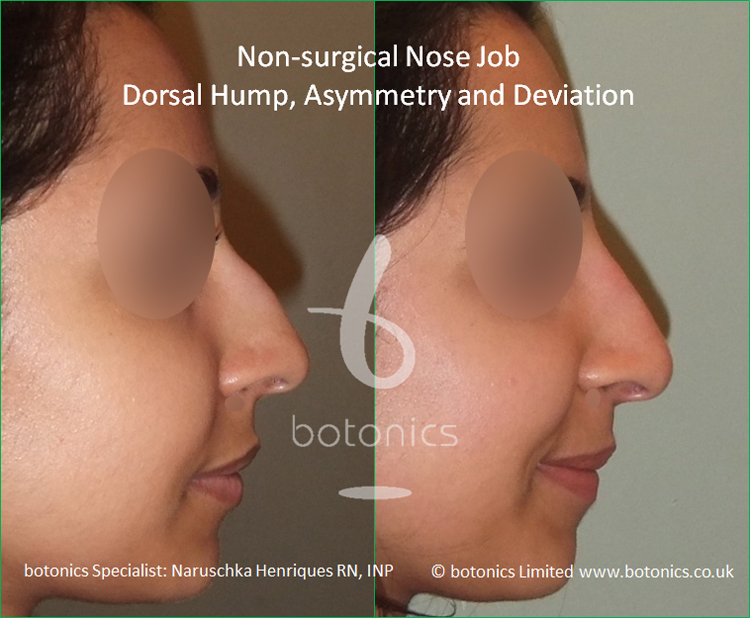 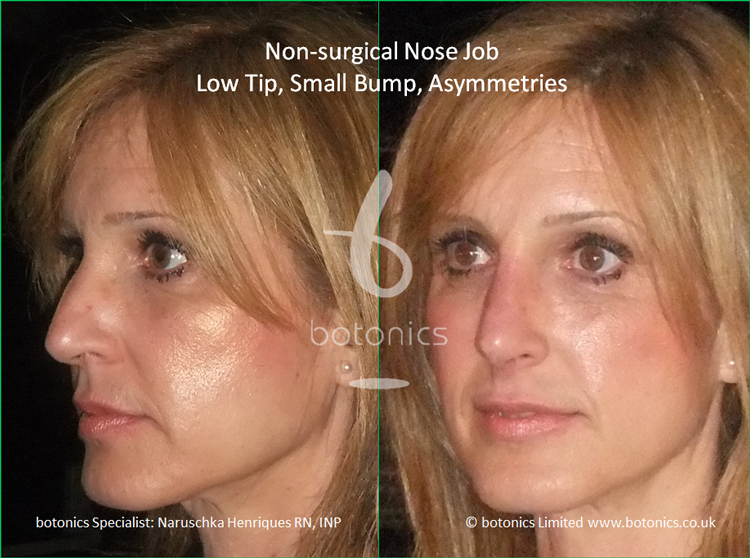 Comments: Client unhappy with low nose tip, dorsal hump and asymmetries. 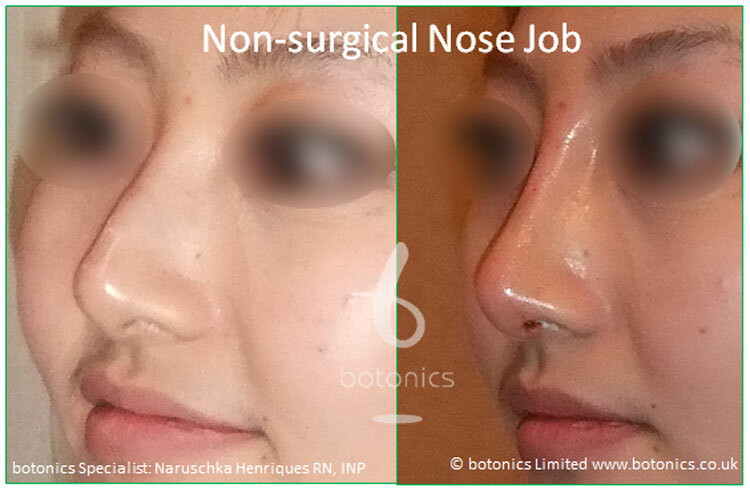 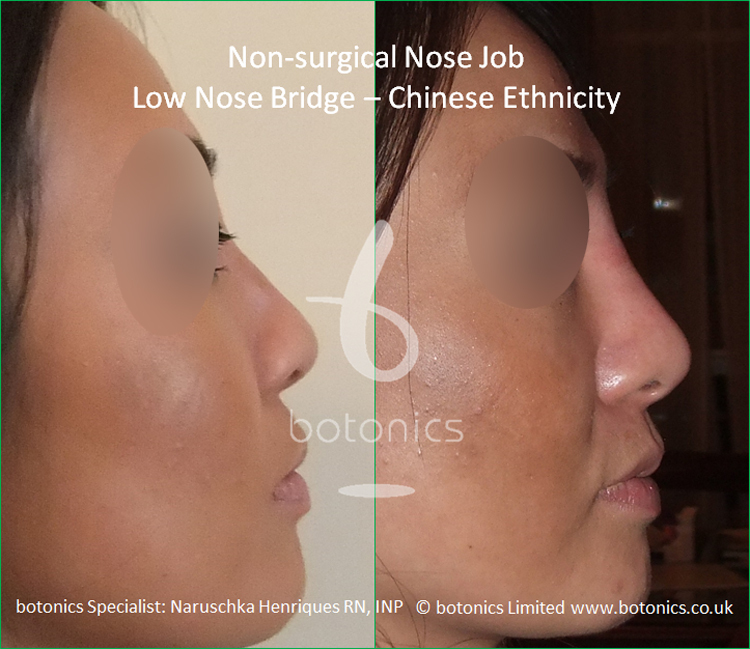 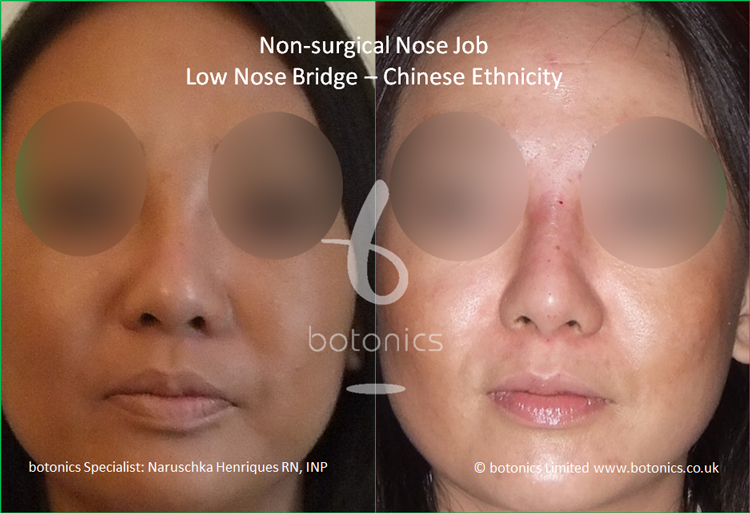 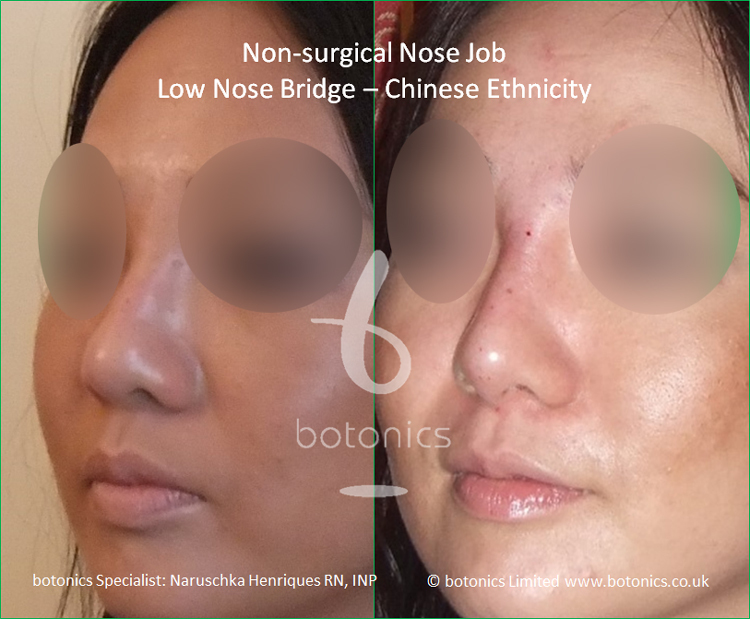 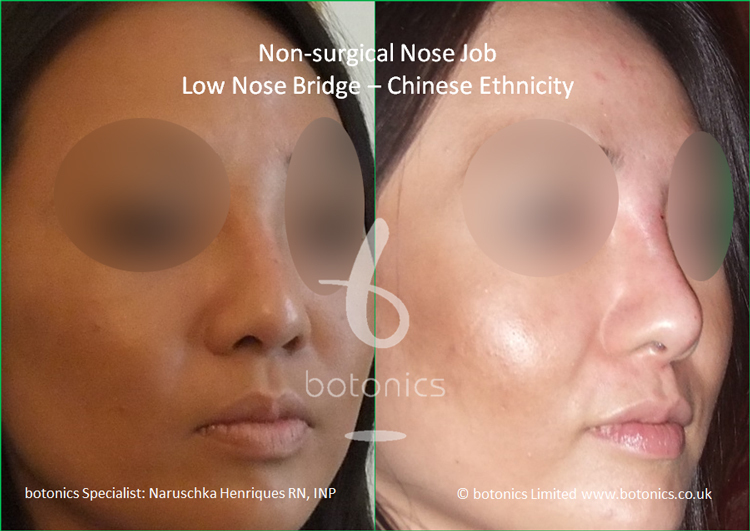 Comments: Chinese client 27 years old unhappy with low nose bridge. 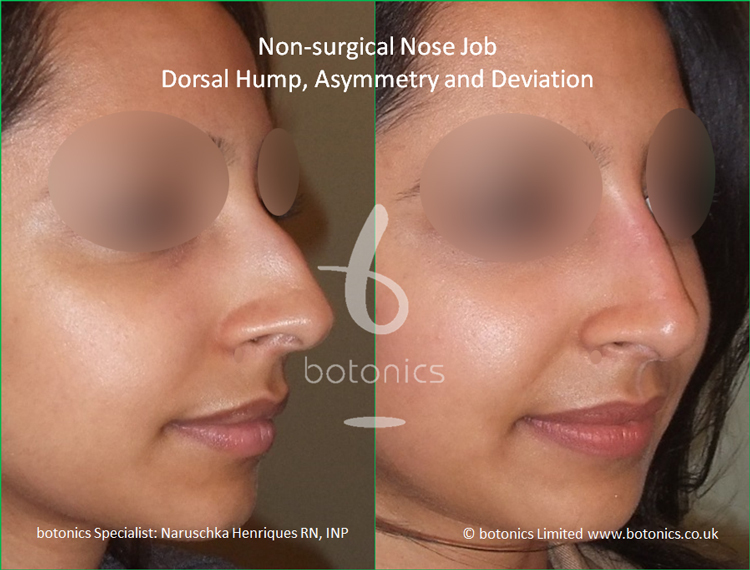 Tip elevated, nose bridge height increased. 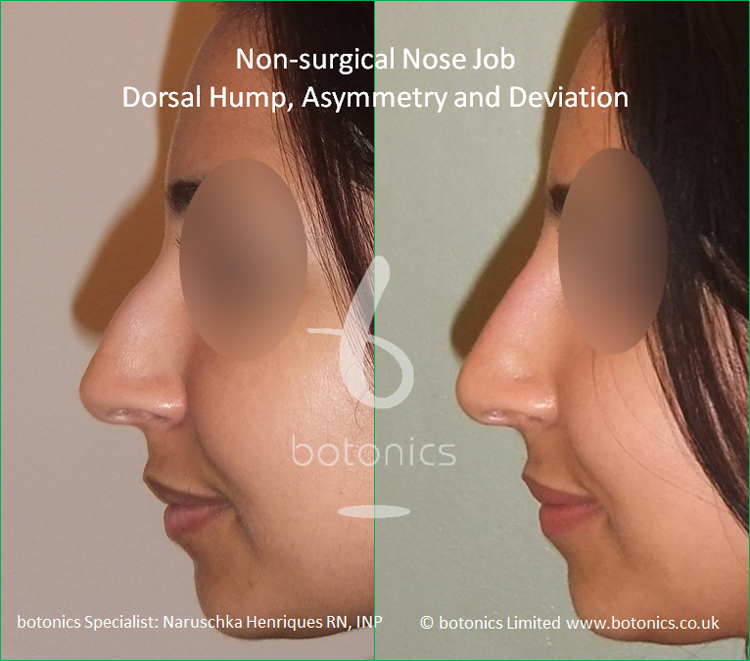 Comments: Client unhappy with dorsal hump and drooping tip. 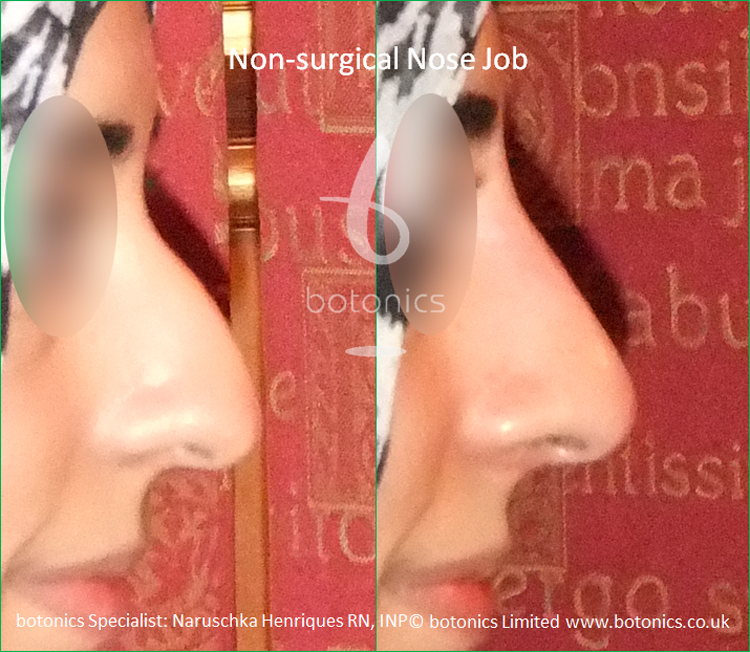 Built up nose bridge and elevated tip. 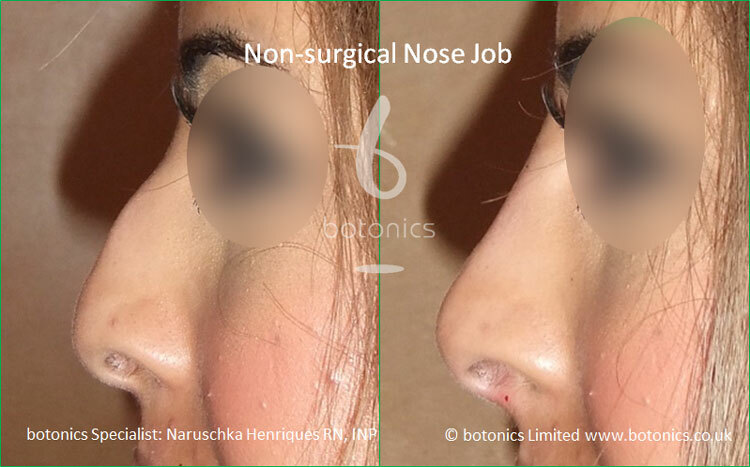 Comments: Client unhappy with hooked nose, wanted it to look straight. 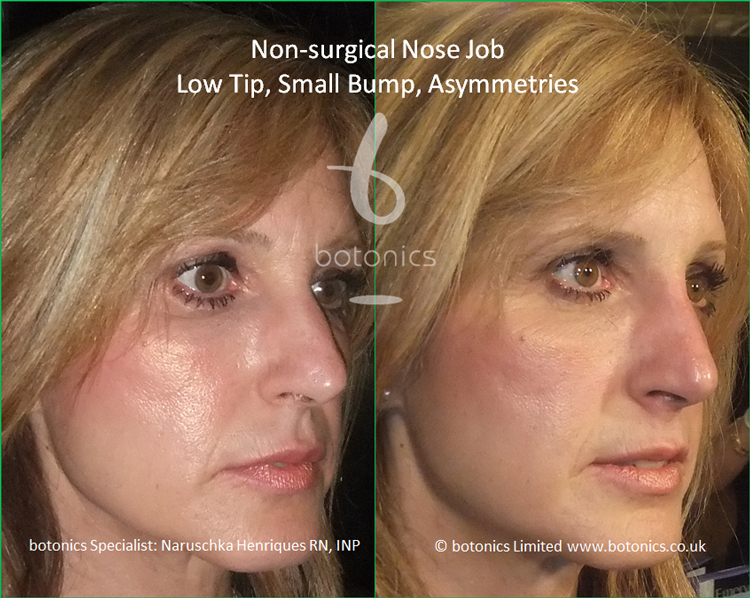 Comments: Client unhappy with bump on nose bridge and droopy nose tip. 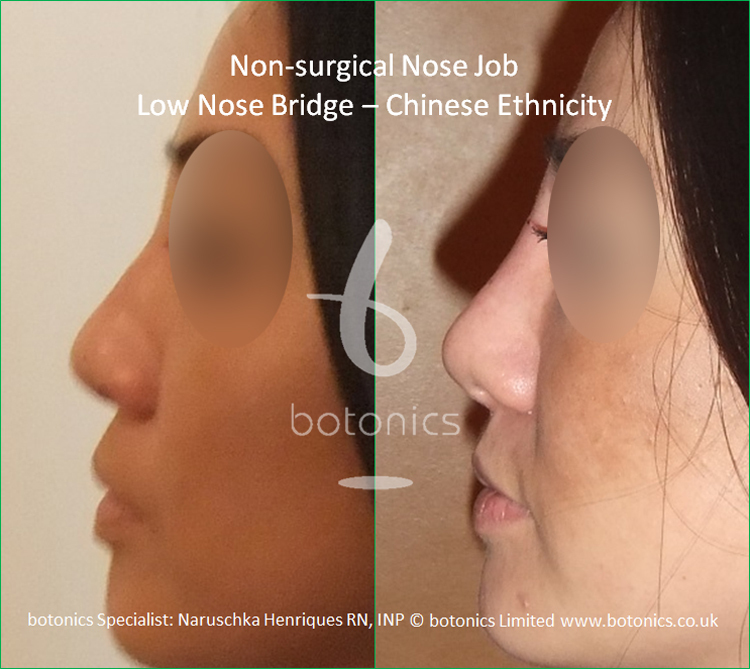 Comments: Client unhappy with low nose bridge and retracted columella typical of some Chinese ethnicities. 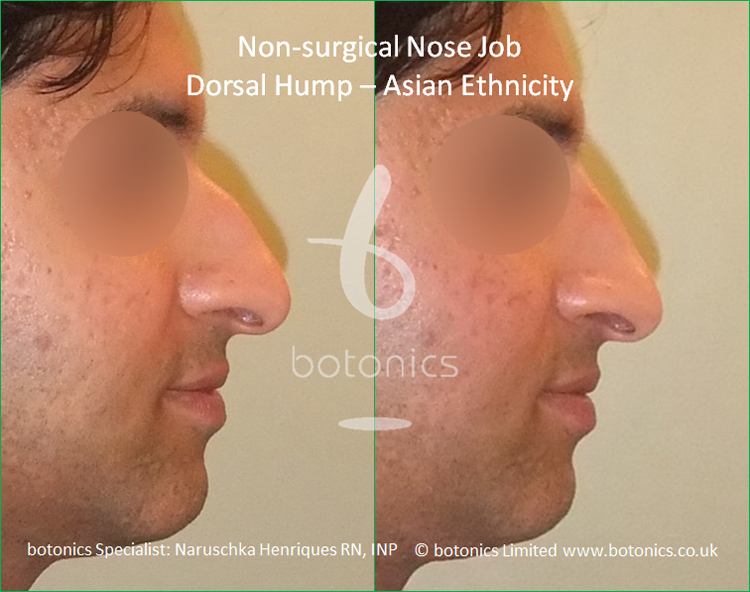 Comments: Nose deviated to side, dorsal hump, asymmetries.